A classic California noir with a feminist twist, this prescient 1947 novel exposed misogyny in post-World War II American society, making it far ahead of its time. 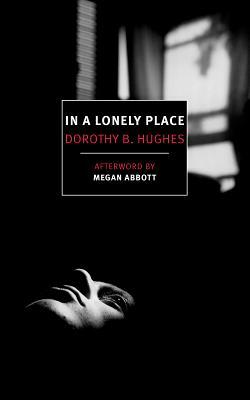 Written with controlled elegance, Dorothy B. Hughes’s tense novel is at once an early indictment of a truly toxic masculinity and a twisty page-turner with a surprisingly feminist resolution. A classic of golden age noir, In a Lonely Place also inspired Nicholas Ray’s 1950 film of the same name, starring Humphrey Bogart. Dorothy B. Hughes (1904–1993) was born Dorothy Belle Flanagan in Kansas City, Missouri. She received a bachelor’s degree in journalism from the University of Missouri and worked as a reporter before attending graduate school at the University of New Mexico and Columbia University. In 1931 her collection of poetry, Dark Certainty, was selected for inclusion in the Yale Series of Younger Poets. She was married in 1932 and would not publish her next book, the hard-boiled novel The So Blue Marble, until 1940. Between 1940 and 1952 Hughes published twelve more novels, including The Cross-Eyed Bear and Ride the Pink Horse. For four decades she was the crime-fiction reviewer for The Albuquerque Tribune, earning an Edgar Award for Outstanding Mystery Criticism from the Mystery Writers of America in 1951. The Expendable Man, published in 1963, was her last novel. “I simply hadn’t the tranquility required to write” and care for a family, she later said. In 1978, however, she published The Case of the Real Perry Mason, a critical biography of Erle Stanley Gardner, and that same year she was recognized as a Grand Master by the Mystery Writers of America. Megan Abbott is the author of eight novels, including The Fever, You Will Know Me, and the Edgar Award–winning Queenpin. She is also the author of The Street Was Mine, a study of hard-boiled fiction and film noir and the editor of A Hell of a Woman, a female crime fiction anthology. She received a Ph.D. in literature from New York University.